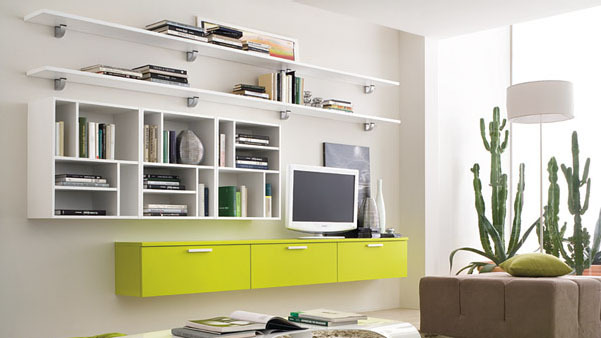 These beautiful modern living room designs by Colombini use colours to highlight the plain white background. In each modern design, colour is used with economy. 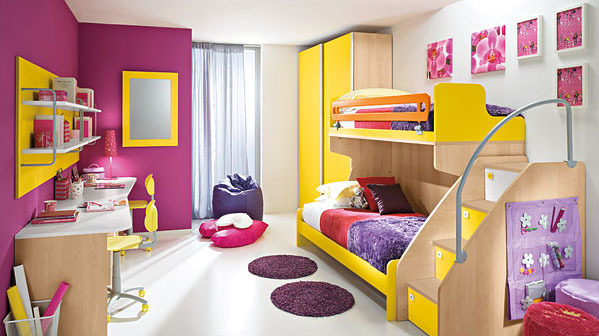 Rooms with bright happy colours will not only keep children entertained, but they are also expressions of their personalities. 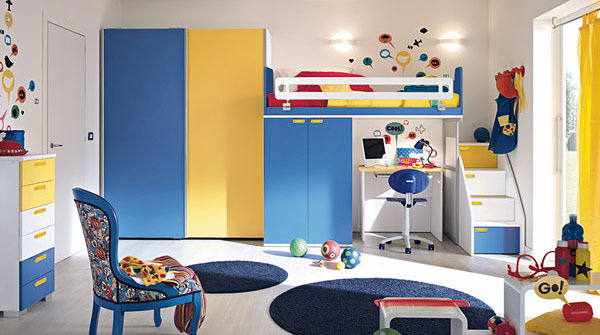 These colourful cheery children’s bedrooms by Italian company Colombini are practical, fun and expressive all at once.